VISIO is a new project developed within the frame of Lo Schermo dell’Arte Film Festival, one of the most interesting art festival devoted to the use of film in contemporary art. VISIO consists of a series of seminars and meetings dedicated to expanding the vision and themes of artists who use cinema in their practice, and intends to favour the development of a European network of young artists and professionals who work with moving images, promoting encounters and international mobility. The Workshop will be held in Florence, during the 5th Edition of Lo Schermo dell’Arte Film Festival (21-25 November 2012). The participants will be 15 young Italian and European artists who work with moving images; they will be selected with an open call, in collaboration with some of the most important European Art Academies and Schools. The Selection Committee is composed of Leonardo Bigazzi, project curator VISIO, Silvia Lucchesi, director Lo Schermo dell’Arte and Heinz Peter Schwerfel, director Kino der Kunst. Two participants of the Workshop will be selected for the Young Talent Award organized by the Kino der Kunst Festival in Munich, Germany (24-28 April 2013). These artists will have the opportunity to present one of their projects to an international jury who will award a prize of 10,000 euro of equipment provided by ARRI, the most important producer and distributor of cinematographic equipment in the world. Lo Schermo dell’Arte is a project founded in Florence in 2008. 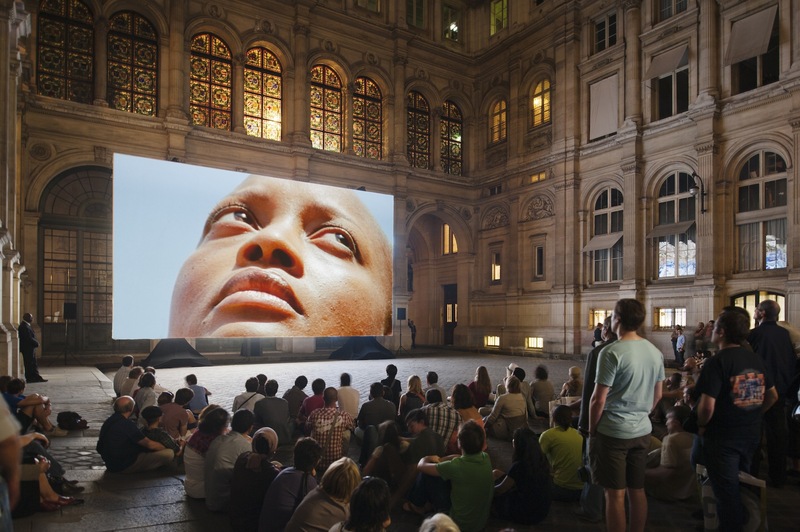 The Festival is dedicated to the exploration, analysis and promotion of the links between contemporary art and cinema. Among many international artists that have attended the Festival are Phil Collins, Omer Fast, Alfredo Jaar, Mark Lewis, Sarah Morris and Shirin Neshat. VISIO – European Workshop on Artists’ Cinema is promoted and organized by Lo Schermo dell’Arte Film Festival in collaboration with the Festival Kino der Kunst in Munich and with the generous support of Regione Toscana and Ente Cassa di Risparmio di Firenze/Osservatorio per le Arti Contemporanee. The project is also supported by the Embassy of the Kingdom of the Netherlands in Italy, the Deutsches Institut Florenz, the FST-Mediateca Toscana, the Institut français Firenze and Opinion Ciatti. The selection of the participants is conducted in partnership with the Academy of Media Arts Cologne, the Akademie der Bildenden Künste München, the École Nationale supérieure des Arts Décoratifs (Paris), LE FRESNOY Studio national des arts contemporains (Tourcoing), the Piet Zwart Institute, MFA (Rotterdam), the Royal College of Art (London), the Royal Danish Academy of Fine Arts (Copenhagen), the Zurich University of The Arts, the Accademia di Belle Arti di Brera (Milan) and the Accademia di Belle Arti di Firenze.